In just 10 days, the inaugural USL League One season will kick off when South Georgia Tormenta FC hosts Greenville Triumph SC at Erk Russell Park in Statesboro, Georgia. Before the action gets underway, however, we’re going to preview some of the talent that will be on display across the league this season as each of the 10 teams battle for the bragging rights of being the first League One champion. To start things off, here are five goalkeepers that will be looking for breakout campaigns in 2019, with experienced veterans joining young standouts ready to shine in the year ahead. After starting his professional career with USL Championship side Tulsa Roughnecks FC in 2016, Alex Mangels made his return to the league last year as a member of the Portland Timbers 2. The 25-year-old goalkeeper shared the starting spot with Kendall McIntosh for much of the season and made the most of the opportunities that came his way, recording six clean sheets in 15 appearances. One of those shutouts came in a 1-0 victory over Phoenix Rising FC on the final day of the regular season, which proved to be Mangels’ final appearance for the club as he was left out of the T2 squad for its Western Conference Quarterfinals loss to that same Phoenix squad. Mangels will look to keep a stranglehold on the No. 1 spot this year under Head Coach Tim Hankinson as the Red Wolves chase a title in their inaugural season. Brian Sylvestre earned his first shot at Major League Soccer in 2015 when he impressed Philadelphia Union brass with a superb U.S. Open Cup display against the side as a member of North Carolina FC. The Hollywood, Florida native went on to record five shutouts in 12 appearances for the Union before returning to NCFC at the end of 2015 season. Sylvestre, who most recently served as a back-up to LA Galaxy starter David Bingham in 2018, will look to recreate the level of consistent displays that saw him earn those top-flight opportunities this year in Madison. Dallas Jaye reunites with John Harkes in Greenville, having played for the Triumph SC Head Coach during their time together at FC Cincinnati. The 25-year-old made three appearances over two seasons with FCC before joining Phoenix Rising FC for the 2018 campaign. 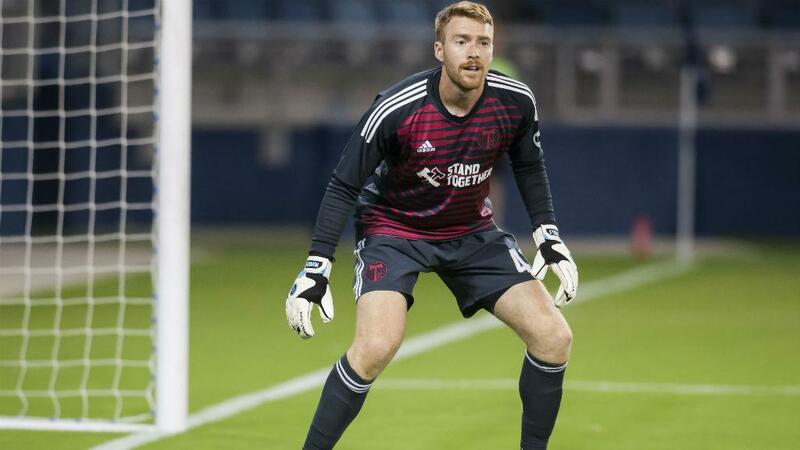 Jaye’s return to the desert, where he had previously helped FC Tucson reach the third round of the 2013 U.S. Open Cup during his collegiate days, saw him serve as the team’s third-choice goalkeeper behind Carl Woszczynski and Zac Lubin. There’s no doubt that the talent is there – Jaye made his senior international debut for Guam in 2012 as an 18-year-old – and the hope is that a consistent run of games will help him realize his full potential. Akira Fitzgerald brings plenty of experience to Richmond and will look to transition seamlessly into the starting role for Head Coach David Bulow’s squad, after last year’s No. 1 Trevor Spangenberg left this offseason for Birmingham Legion FC. Fitzgerald, an expansion signing by MLS side New York City FC in 2015, spent the past two seasons in the USL Championship with the Tampa Bay Rowdies, where he recorded four clean sheets in 13 appearances. The 31-year-old will try to help Richmond turn things around on the defensive end, as the Kickers conceded a league-high 80 goals in the Championship last season. Despite being just 24 years of age, Pablo Jara brings plenty of pedigree into his first professional season with South Georgia Tormenta FC. The Santiago, Chile native, who grew up playing for the youth side of his hometown club Colo-Colo, was named South Atlantic Conference Goalkeeper of the Year in each of his four collegiate seasons at Wingate University. Last summer, Jara served as the backbone of Tormenta FC’s undefeated regular season and Deep South Division Championship in USL League Two. After achieving all that success, the goal now for Jara will be to adjust as quickly as possible to the next level as the Statesboro side makes the leap to League One.